Annie Winters & Tony West: Is it really almost over? 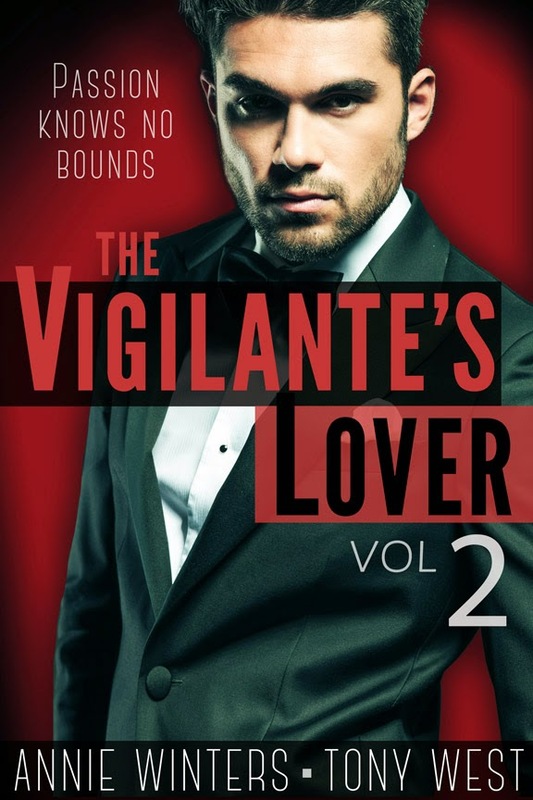 It's been 10 months since Tony and I got the idea for Vigilante's Lover. We were driving to the Romantic Times Convention in New Orleans, and I realized -- HEY, I have a meeting with an editor! And I had no book to pitch! 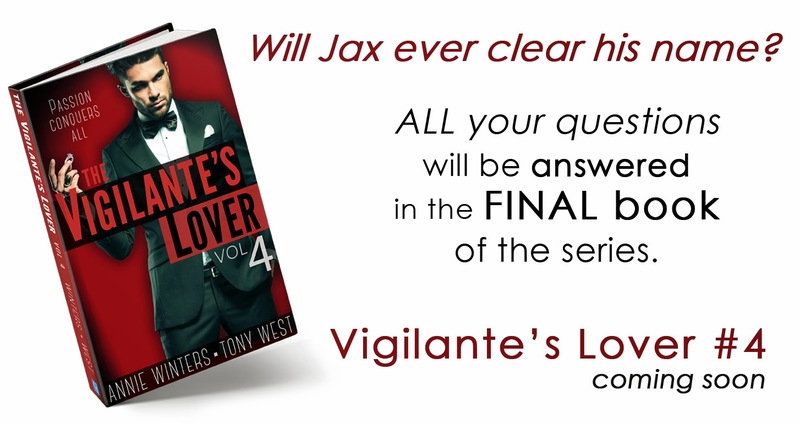 We knew we couldn't easily offer up my series as JJ Knight, as it was already well under way. And I was also in the middle of my Forever series as Deanna Roy. So we started all over with a new name and a new idea. Take Jason Bourne, whom we both loved, make him as slick and well-dressed as James Bond, and give him a kickin' romantic partner. We came up with the initial idea during that car ride in May. While the editor loved it and wanted it, we ultimately decided a serial was a better format and started planning to release it on our own. At one point, we had an entire wall covered with notes and outlines so we could get a handle on the Vigilante world. From May to October we outlined, researched, and argued over plot points. Future setting? Current? What about this jail that had Jax? How many letters? How long should they write each other? We had to study knots and write letters that could work both as escape planning and love notes. We wrote the series starting November 1 and finished it March 6. The final book will come out in late March. After that, we're not sure what's in store for Jax and Mia. When you get to the end, you'll see we've left an opportunity for more story even though this particular plot line is completely wrapped up. 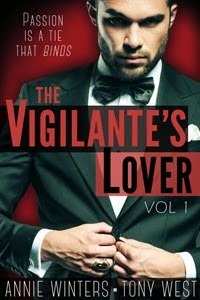 Right now we're considering a possible single spin off called The Vigilante's Revenge in the fall. We've loved meeting all the fans. 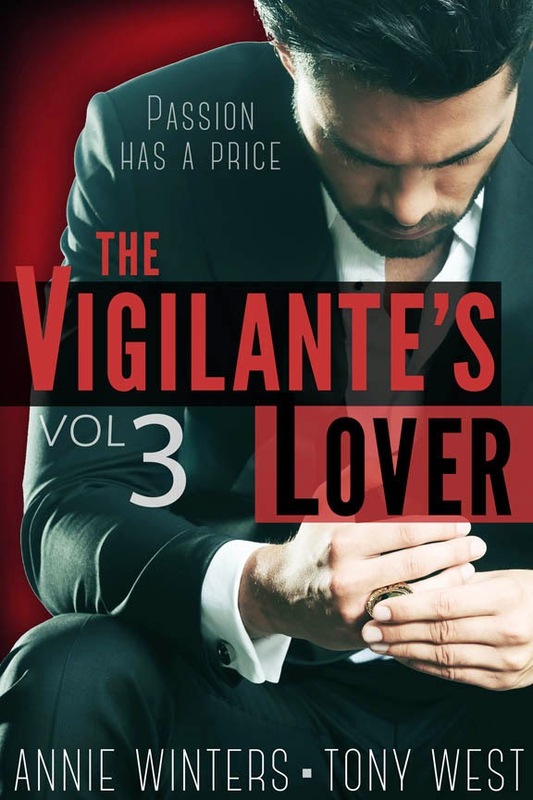 Tony and I be together signing books at the Austin Author Affair in May and the Romance Writers of America Convention in New York in July. We hope to meet some of you!